“Extra’s” Renee Bargh caught up with Aguilera, who dished all about her residency, “The Xperience,” which will kick off from the Zappos Theater at Planet Hollywood May 31 and run for 16 shows. 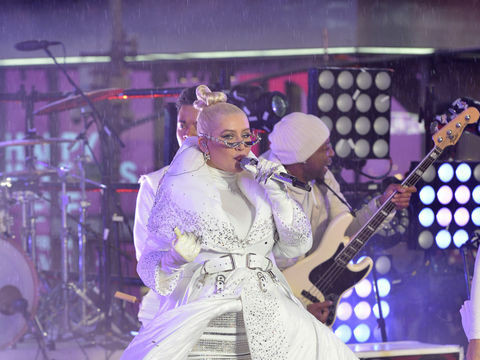 The singer, with a hit-packed career spanning two decades with songs like “Genie in a Bottle” and “Dirrty,” hinted that the show could get a little X-rated. Christina noted that a Vegas residency has been in the cards for a while, but her recent Liberation tour kicked it into high gear.